Background : Aim of the study: Long-term echocardiographic follow-up studies of mitral balloon valvuloplasty (MBV) are scarce. The study aim was to assess the long-term results (up to 18 years) of MBV and to identify predictors of restenosis and event-free survival. Methods : The immediate and long-term clinical and echocardiographic results for 531 consecutive patients (mean age 31 ± 11 years) who underwent successful MBV for severe mitral stenosis (MS) and were followed up for a mean of 8.5 ± 4.8 years (range: 1.5 to 18 years) after MBV are reported. 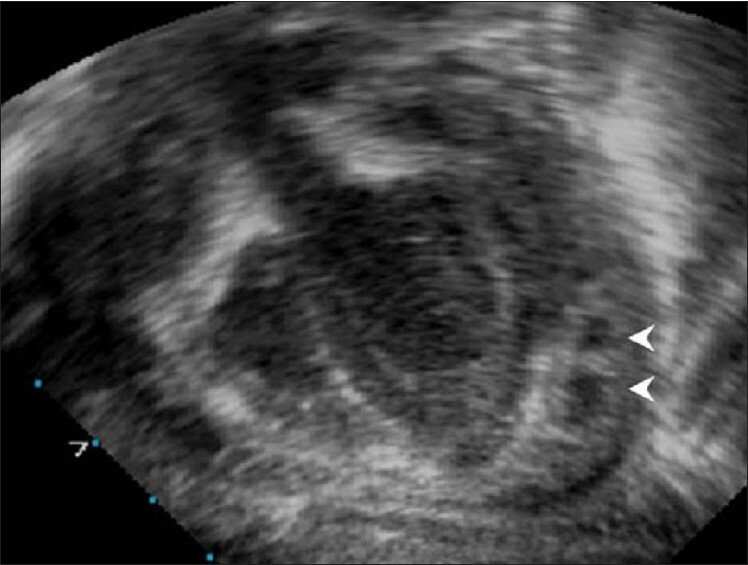 Results : Immediately after MBV, the mitral valve area (MVA) was increased from 0.92 ± 0.17 cm2 to 1.95 ± 0.29 cm2 (p < 0.0001). 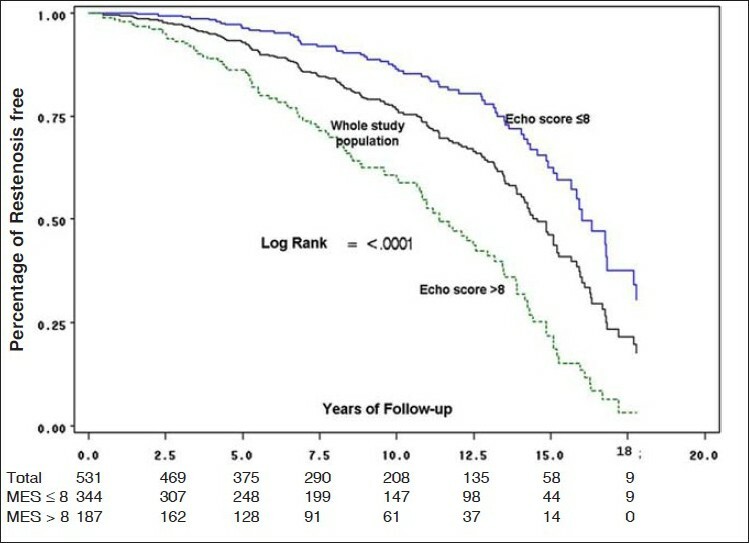 Restenosis occurred in 165 patients (31%), and was less frequent (19%) in patients with a low mitral echo score (MES ≤ 8). Actuarial freedom from restenosis at 10, 15 and 18 years was 77 ± 2%, 46 ۱ 3% and 18 ± 4%, respectively, and was significantly higher in patients with MES ≤ 8 (86 ± 2%, 62 ۱ 4% and 31 ± 7%) than in those with MES > 8 (p < 0.001). Event-free survival (death, redo MBV, mitral valve replacement, NYHA class III or IV) at 10, 15 and 18 years was 88 ± 1%, 53 ± 4%, and 21 ± 5% respectively, and was significantly higher for patients with MES ≤ 8 (93 ± 2%, 65 ± 5% and 38 ± 8%, respectively; p < 0.001). Multivariable Cox regression analysis identified MES > 8 (p < 0.0001) and previous surgery (p = 0.043) as predictors of restenosis, and MES > 8 (p < 0.0001) and baseline atrial fibrillation (p = 0.03) as predictors of combined events. Conclusion : MBV provides excellent long-term results for selected patients with MS. The long-term outcome of this procedure can be predicted from the baseline clinical and echocardiographic characteristics of the mitral valve. Background : Limited data is available about stroke developing after acute myocardial infarction (AMI). We investigated the incidence, risk factors and in-hospital outcome of stroke after AMI in clinical practice with and without use of thrombolysis. Methods and results : We analyzed data from a prospective registry of consecutive patients admitted to the coronary care unit (CCU) at Mubarak Al Kabeer Hospital in Kuwait. Of 2481 patients admitted with AMI between1999 and 2003, 29 (1.2%) developed stroke during their hospital stay. Age older than 60 years (OR 5.5; 95% CI 2.4 to 12.5; P < 0.001) and systolic blood pressure higher than 160 mmHg (OR 3.2; 95% CI 1.1to 9.5; P < 0.04), were identified as independent predictors for stroke among patients with AMI. Patients who received thrombolytic therapy were not at an increased risk for developing stroke (OR 0.7; 95% CI 0.2 to 2.0). Patients developing stroke were 12 times more likely to die during hospitalization compared with patients who did not develop stroke (OR 12.6; 95% CI 5.4 to 26.7; P < 0.001). Conclusions : Stroke is an infrequent but serious complication of AMI. Older age and high systolic blood pressure at admission are independent predictors of stroke. We evaluated prospectively 5 patients with previous myocardial infarction who had ventricular tachycardia. The objective of this study was to describe the arrhythmogenic areas and ablate the ischemic VT successfully with multiple radiofrequency applications. All patients were considered eligible irrespective of the presence of Automatic implantable cardioverter-defibrillator implants. Coronary artery bypass graft was performed for two patients. One patient had developed ventricular tachycardia/ventricular fibrillation post surgery requiring radiofrequency ablation followed by AICD implantation. 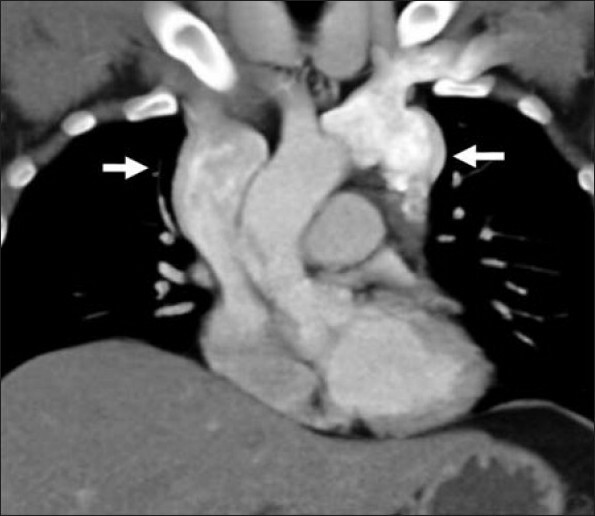 Three patients with ischemic cardiomyopathy, who had AICD, developed VT prior to the radio frequency ablation therapy. In 5 patients with ventricular tachyarrhythmias three dimensional mapping was performed using non contact mapping (EnSite). RF ablations targeted the arrhythmogenic areas of infarcted zone. All patients were rendered completely non inducible at the end of the procedure. The mean procedure time measured was 3 hours. No complications were observed in any of those patients. On follow up, all patients improved clinically with regard to the quality of life and number of AICD shocks. 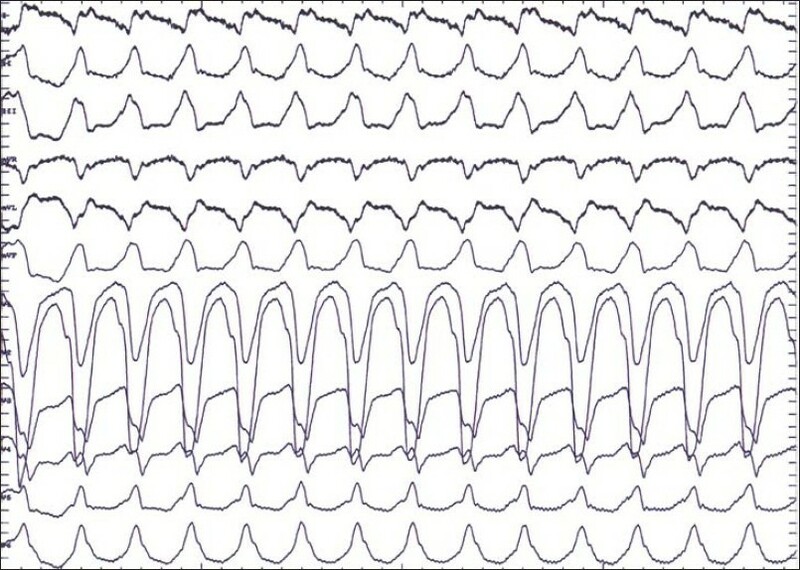 One post AICD patient had non sustained ventricular tachycardia, during the follow up period. Conclusion: This is a limited study of our local experience in the successful radio frequency ablation of ischemic ventricular tachycardia.